Like last year, the Networks have started sending us screeners for their new Fall shows, and our team is currently busy going through them all. (We hope to get other screeners for the late fall and Mid-Season shows later). Unlike other sites, where you typically just get to read the opinions of 1 writer per show, we like to let our entire team provide you with a rating and one line review of as many of the new shows as possible in order to try and give a much more rounded and unbiased look at the new shows for next year. Each show will get a full preview by our nominated writer (these will be posted later in the year once the networks give us permission to release the full reviews), however other members of the team have been watching the screeners as they come in and we've been collating their quick snap judgments along with a rating out of 10. The tables will be updated live as new ratings and reviews come in over the next few hrs, days and weeks, which as a result will become more "accurate" as more of the team leave their ratings. So bookmark this page! - 7th September 2018 - Reviews for Single Parents have now been made available. - 7th September 2018 - Reviews for CBS Shows are now available. - 7th September 2018 - Reviews for The Rookie and A Million Little Things have now been made available. - 7th June 2018 - Added some initial ratings for the CBS screeners. More rating to come over the next few days. - 1st June 2018 - We've added our First Impression Reviews for NBC and CW shows. 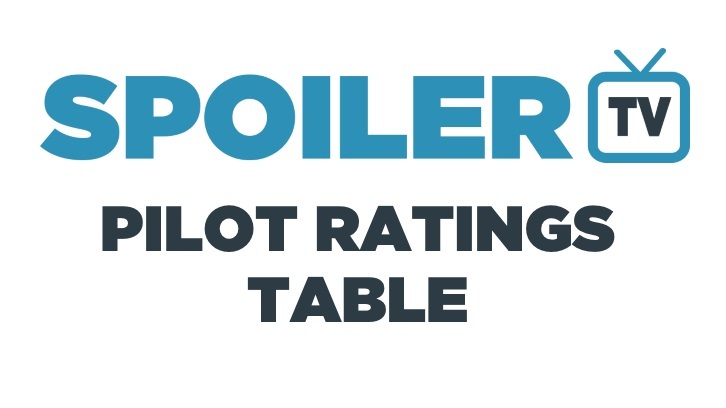 Each of our writers was asked to submit a rating of each pilot they watched out of 10. The table below shows the average of all these ratings. Shows with a rating greater than 7.1 is deemed a hit, between 5.5-7.1 we mark it as "Unsure" and less than an average rating of 5.5 we deem the show to be a miss. NOTE: ABC and CBS have an embargo so we can't post our first impressions. As mentioned we'll be doing a more in-depth preview of each pilot show, however we wanted to give you some quick snap-judgements on each show. Again this table will be updated as and when the screeners arrive and our writers have had the time to watch and rate them. We hope you enjoy this feature and find it useful in deciding which shows you may enjoy next season.